Caruana started her djing career in late 2014 when she began playing for a small and intimate party in Southampton. This soon led to bookings at Junk club where she played alongside massive artists such as Darius Syrossian, Sidney Charles, Ben Pearce and more. It wasn’t long until Junk made Caruana a resident where she graces the decks on a monthly basis. Since this, she has secured a string of bookings which include gigs at London venues Fire, Lightbox and Ministry of Sound. The Social Festival soon offered Caruana a residency after her first gig with them where she has now played both the Summer and Winter Social Festival, and is on the bill for this years event in September.Caruana has played regularly for London’s number one Sunday party ABODE and has her first festival abroad this July playing at Labyrinth Open Festival on the main stage alongside Dubfire, Andrea Oliva and Lee Foss. 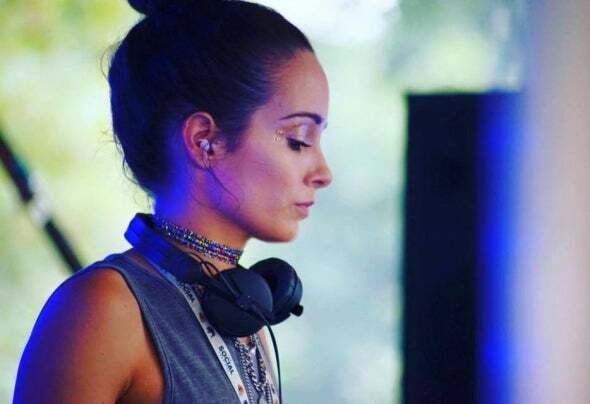 Other bookings include The Little Festival at Field Trip Festival, Cutting Edge at Fire and Habitat at Source Bar in Kent alongside one of her favourite DJ’s and producers Latmun.Alongside DJing Caruana has been working hard on her own productions in collaboration with Fin Evans.